Home Page | Homeowner Tips | A “Tiny House” Movement In America? The tiny house movement is a social movement that advocates for big living in small houses; typically less than 400 square feet. The movement, which has Sarah Susanka (publisher of The Not So Big House), Dee Williams (founder of Portland Alternative Dwellings) and Jay Shafer (founder of Tumbleweed Tiny House Company and co-founder of Small House Society) among others, has grown in leaps and bounds to encompass countries outside the US and publicity in several major platforms. Additionally, the movement has gained massive popularity as evident from the many circulating e-books, blogs, online guides, YouTube features and even an upcoming television show (Tiny House Nation) in July 2014. Occupants and potential occupants of small cabins, green homes and tiny log cabins, as these miniature homes are usually referred, comprise young people, old people and the so called free-spirited environmentalists. The young population that seek to join this movement and hire, buy or build these homes seek to own homes without being indebted to mortgage providers, tax authorities or house maintenance staffs. Older people, who own such homes, have, probably, moved out of their homes due to inability to pay mortgages or as a retirement plan. The third category that is likely to own these homes is the go-green people, who feel large homes are a waste of good land and home maintenance resources. The latter may, also, be self-proclaimed local or international tourists who do not want to feel tied to large assets. The so called small homes, some of which for mobility purposes have wheels, cost anything from 10-50 thousand dollars. That cost is way cheaper than traditional homes, which cost more than $200,000 on average in America now. Small homes do not require construction permits (more saved costs), and people can construct the houses themselves instead of hiring architectures and professional design-build contractors for their homes. The saved costs enable people to spend money on other things such as education and entertainment, or better, retirement. Environmentalists argue that traditional homes, which occupy an average of 2000 square feet of land and need water, sewage, power, and installation by professionals, making them environmental hazards; given the space they occupy and the maintenance they require. Small homes, on the other hand, occupy minimal spaces (80-750 square feet) and need minimal maintenance. By saving land and house maintenance resources, these people feel they conserve the environment and its resources with nearly zero impact. 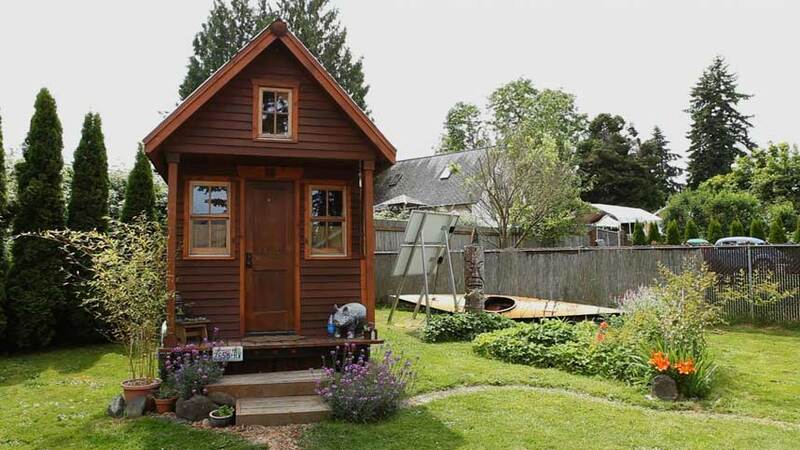 The tiny house movement continues to attract crowds in the US and around the world. The movement was started by free-spirited and environment-conscious people. Today, followers and members of the movement seek a less expensive home and more fun-filled life than is available with the expensive traditional homes and the burden of a 30 year mortgage.